04.04.2018: The 2018 season of the Lamborghini Super Trofeo Asia thunders off the starting grid next week with the mighty new 620hp Huracán Super Trofeo EVO making its championship debut. The 2018 season of the Lamborghini Super Trofeo Asia thunders off the starting grid next week with the mighty new 620hp Huracán Super Trofeo EVO making its championship debut. As Lamborghini celebrates the 10th edition of the successful Super Trofeo concept, the Asian edition will see the most compelling international field in its history contest 12 races over six rounds, beginning at Malaysia’s Sepang International Circuit on April 14-15. Commented Automobili Lamborghini Head of Motorsport, Giorgio Sanna: “Our customers are the reason we continue in our pursuit of excellence. With the EVO, we wanted to give our customers an even more thrilling experience at the wheel, with superior performance and improved safety. Developed based on the two main pillars of Lamborghini technology of sophisticated aerodynamics and ultralight materials, the Huracán Super Trofeo EVO raises the bar yet higher. The rear wheel drive thoroughbred racing car, with a maximum speed of 280 km/h (electronically limited), is the ideal development platform for gentlemen drivers while providing a true challenge for professionals. Powered by a naturally aspirated 5.2 V10 engine, it is equipped with an X-Trac six-gear sequential shift and electric gearbox actuator by Magneti Marelli Motorsport. Visibly striking, the new body kit was developed by the team of motorsport engineers at Automobili Lamborghini working in partnership with Dallara Engineering and Lamborghini Centro Stile. A considerable increase in overall aerodynamic efficiency directly translates to more speed and improved on-track performance, while the central fin aids high speed cornering stability. 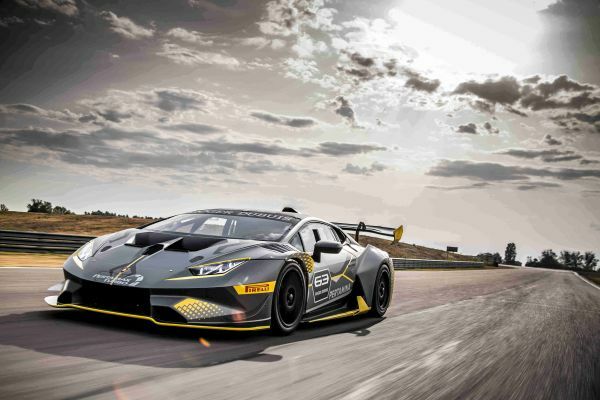 With the performance of a GT3 but the running costs of a cup car, the new Lamborghini Huracán Super Trofeo EVO represents the ideal customer racing car. This, combined with generous benefits included in the season entry package such as free entry and shipping to the World Final and a new, faster car, make participation in the 2018 season an irresistible proposition. The seventh season of the Lamborghini Super Trofeo Asia will open with the electrifying spectacle of a fleet of Lamborghini Huracán Super Trofeo EVO racing cars with an intriguing international field of passionate privateers and ambitious professionals at the wheel. The Malaysian season-opening double header is followed by stops at Thailand’s Buriram circuit, Japan’s famous Suzuka track and Fuji International Speedway, and at the Shanghai International Circuit in China. 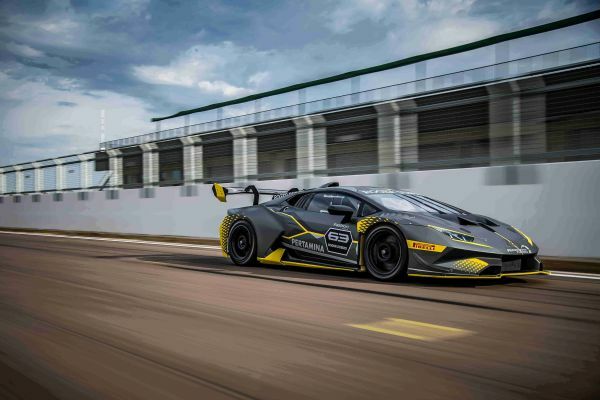 The final rounds will be held along with the Lamborghini Super Trofeo World Final at Italy’s Vallelunga Circuit in November. Each race weekend comprises two hour-long free practice sessions, two 15-minute qualifying sessions, and two 50-minute races. Drivers compete in four categories for championship titles: PRO, for gold and silver FIA-rated drivers; PRO/AM, where a gold or silver driver teams up with a bronze-rated competitor; AM, for bronze drivers; and the Lamborghini Cup for motorsport newcomers. Single driver entries are permitted in the AM and Lamborghini Cup categories only. 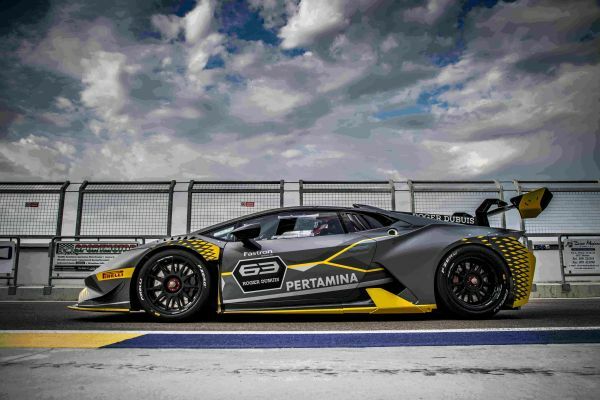 Series partners Pertamina and official tyre Pirelli are joined this year by Geneva-based Roger Dubuis, a company which has been at the forefront of contemporary haute horlogerie since 1995. Celebrating the 10th edition of the successful Lamborghini Super Trofeo in 2018, today there are four series which together span the globe. The Lamborghini Super Trofeo began in Europe in 2009, and was won by Italian Fabio Babini. The series was an immediate success, and in 2012 the Asian edition made its debut. North America followed suit in 2013, with the Lamborghini Super Trofeo Middle East beginning in 2017. Imperiale Racing on the podium at Nürburgring.